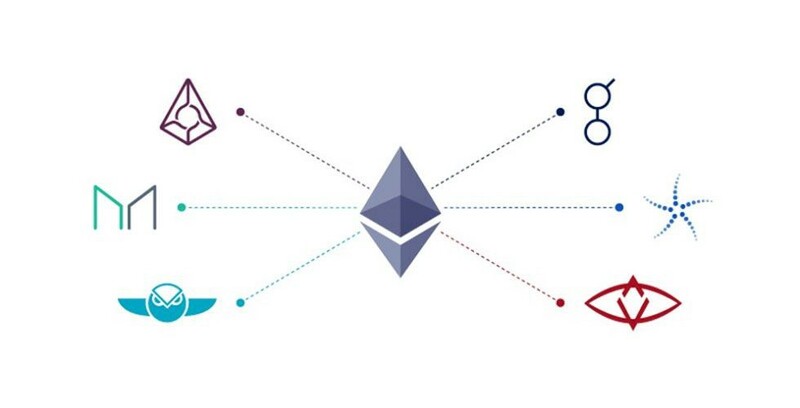 The 20th Ethereum Request for Comments (ERC20) outlines a set of rules and recommendations a solidity developer must follow when creating a new contract representing a divisible asset, commonly referred to as a token, currency or denomination. This ensures that users, exchanges and other contracts will be able to use the new denomination in a predictable manner. Most importantly the contract needs methods to read account balances and allow the transfer of tokens between addresses. With those intact the currency can do just about everything Bitcoin can while being similarly secured by an underlying blockchain — in this case Ethereum. The 721st Ethereum Request for Comments (ERC721) outlines a set of rules and recommendations a solidity developer must follow when creating a non-fungible token (NFT). This is similar to an ERC20 token, except the tokens can’t be divided into decimal amounts because each token represents an individual asset. The most popular NFT is CryptoKitties but the standard could be used for any set of assets that benefit from representation on an immutable ledger — property, attribution, art etc. It’s important to note that both standards have methods allowing third parties to manage some portion of a user’s assets. Given explicit permission, a contract (or less often a user) can move tokens on behalf of someone else. This helps facilitate trustless operations like those seen in decentralized exchanges and transfer of ownership via auction and escrow. You can trust a contract to hold your money or act on your behalf because you can read the code that dictates exactly what the contract can and can not do. Name for a continuously mintable token used by Simon de la Rouviere. Named for the curve of the graph that represents the price per token (y-axis) bonded to the number of tokens in circulation (x-axis) by a predefined slope formula. The slope can be linear, exponential, logarithmic or completely arbitrary depending on the use case but most often the price increases with the number of tokens in circulation. His white paper can be found here. Bonded Tokens are mostly described for use within Curation Markets, where the price of a token can represent the popularity of a topic. One example is trend forecasting that could be conducted by buying and selling different tokens representing different trends. People predicting the success of a certain style might buy the tokens expecting more people to follow as the style gains notoriety. The price will subsequently rise with the newly minted tokens creating profit for early adopters. Similar to Prediction Markets, it extracts the “Wisdom of the Crowd” with financial incentives. Curation Markets have many different applications and are being developed by a variety of different companies. Bancor calls Bonded Tokens Liquid Token, emphasizing the fact that the token is always available for buying or selling in any quantity. They identify the relationship between the buying denomination and the selling denomination as a reserve ratio. Ratios below 1/2 increase exponentially, ratios above 1/2 increase logarithmically and ratios at 1/2 increase linearly. The price of a purchase is calculated with the total supply of tokens, the amount of underlying reserve and the pre-determined reserve ratio. For more details please read the excellent technical article by Slava Balasanov below. Bancor’s use case of Liquid Tokens is for supporting micro-communities who benefit from their own token but don’t have the quantity of buy and sell orders to work effectively on a traditional exchange. By encouraging the use of their own Bancor Network Token (BNT) as the common buy-in denomination they can provide exchange between different Liquid Tokens. If Liquid Token ABC wanted Liquid Token XYZ, and both used BNT as the buy-in token, then ABC could exchange itself for BNT then turn around and use that BNT to buy XYZ. Token Curated Registries (TCRs) are a crypto-economic primitive often discussed alongside Curation Markets. It may become common to refer to TCRs as a type of Curation Market but for now they are mostly referred to as separate entities. A TCR is a topical list, whose contents are maintained by a staking and betting game. If the topic of the list were “Chinese Restaurants” it would be in your interest as a Chinese restaurant owner to get included on this list to raise your visibility and reputation as such. You would pay some staking fee to be included on the list. Afterwards your submission would come under scrutiny by economically incentivized users. If one of them believed your restaurant did not belong on the list they would challenge the submission by staking a comparable bet against it. At this point a voting period would begin in which others used tokens to bet for or against the challenge. If the challenge succeeds the listing will be removed and the original Chinese restaurant stake gets divided among the challenger and the users who voted to remove it. If the challenge fails, the challenger stake gets divided between the Chinese restaurant owner and the users who voted to keep it. All staking and voting should be carried out in a token dedicated to the topic of the list—often proposed as a Bonded Token. In doing so you deter the outcome in which the list devolves into corruption or spam. Such a low quality list would not give confidence to the token backing it, and the value of that token would drop. This would lower the value of any improperly acquired tokens, thereby diminishing the attack vector. For more info on TCRs read Mike Goldin’s original article.